We want to say a BIG thank you to everyone who stopped by our Hamelin stand at the World Championships, a week ago in Montreal! It was a pleasure to see so many H in the stands, you all looked great. We have a lot of ideas and new stuff will come up soon. Stay tuned! Publié le March 24, 2014 par Delphine Lachapelle classé sous News portant les tags Short Track world championship. Charles could not have hoped for a better first day of competition at the Sochi Olympic Games. Race after race, he did everything just perfect and left no chance to his opponents. Reaching the highest step of the podium in front of the Chinese Han Tianyu and Russian Victor Han, he won today his first gold medal of these Games. François has meanwhile finished second in the B final which placed him in ninth position. Publié le February 10, 2014 par Delphine Lachapelle classé sous News portant les tags Olympics Short Track sochi. Last weekend, the Hamelin brothers lived a moment they both dreamed about for a long time. After a stay in Budapest for a preparatory camp, Charles and François finally landed in Sochi for the Olympic adventure. The trip in Hungary was very beneficial for both brothers because it allowed them to acclimate and make adjustments before the Olympics. After a quick jet lag adaptation, François said he was surprised to feel that good during his stay in Budapest. It usually takes him more time to adjust to foreign ices and he normally needs to do several technical adjustments to his blades. François states that the genius of François Drolet, the blade technician, allows him to fully concentrate on his performance. The young Hamelin is enthusiastic, confident and ready to be a part of the Olympic Games again. Although he found the arena in Budapest excessively cold, Charles also had a good training camp and is very pleased with his physical condition. A few days before leaving for Russia, to help contain his excitement, Charles devoted himself to another passion of his, drawing. 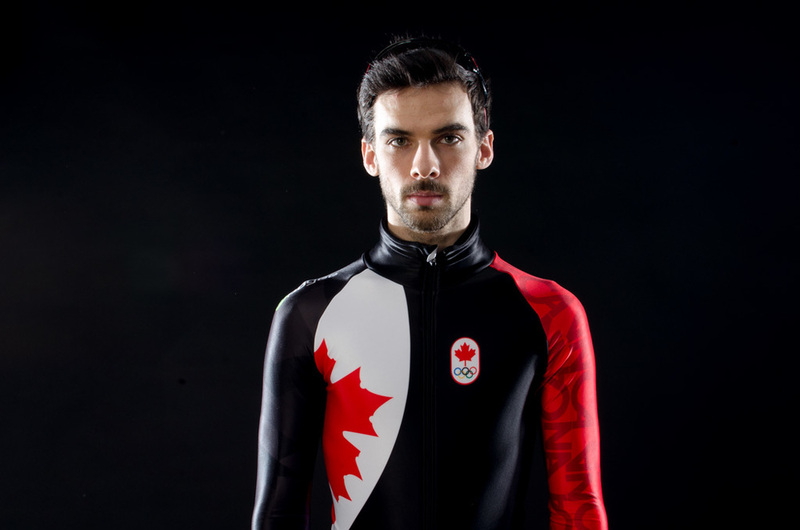 His teammate Jennifer Cottin who left Montreal later than the rest of the team, even brought his equipment so he can continue to draw during the Olympics. Filled with hope, Charles can’t wait to compete in the world's most prestigious sporting event and is eager to show the world what he is capable of. Charles and François are ready to live moments that will undoubtedly be magnificent. Let’s wish them the best of luck! Publié le February 4, 2014 par Delphine Lachapelle classé sous News portant les tags sochi Short Track Speed skating Olympics. Last weekend was very important for the short track speed skaters who will be competing in Sochi. Just a few weeks before the Olympics, the Canadian team did a competition simulation in order to get back into a racing mode before their departure to Russia. Since their last World Cup was back in November, it was important to recreate a competitive environment. For Charles and Francois, the last month of training went extremely well and the brothers’ physical condition is excellent. After quickly regaining confidence in a race context, Francois won the 1000m and after a minor contact with his older brother in the 1500m, he finished in fourth place in that distance. Charles meanwhile, also had to race in the 500m in which he was brilliant. Despite a cold, he also managed to do well by finishing first in the 1500m. 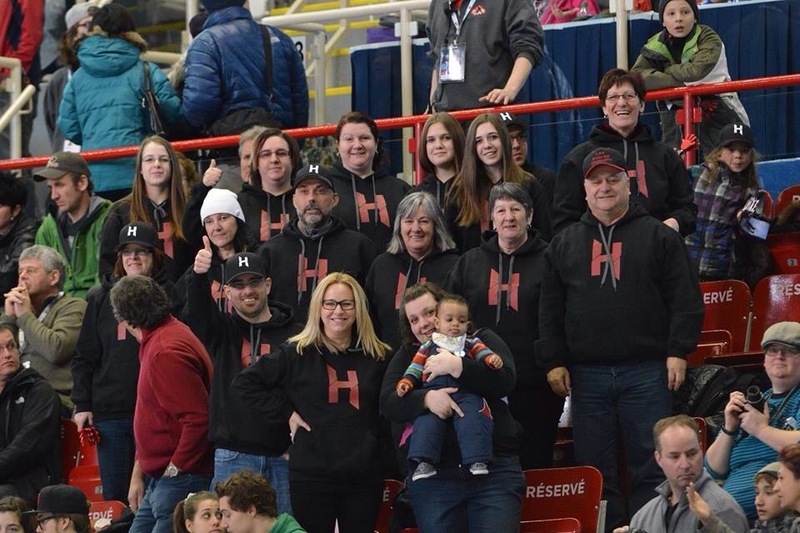 The Hamelin are ready to jump into this great adventure and will be leaving in two days for a training camp in Hungary, their final stop before the Olympic Games. Publié le January 23, 2014 par Delphine Lachapelle classé sous News portant les tags Sochi Speed skating Short Track. It is now Francois’ turn to answer your interesting questions. Since you’ve already lived the Olympic experience, what is the best part of the Olympic village? Being able to see the hockey stars! One of my most memorable memories is when I played a Ping-Pong match against Sydney Crosby in Vancouver. But what is really impressive is the atmosphere in the village. To share a place with the elite of each winter sports is really magical and indescribable. It’s a totally unique feeling. Beside speed skating, what do you like doing the most? As my days are pretty busy, I try to enjoy every free moment that I have with my girlfriend and my family. Otherwise, I recently started a hobby that is not really manly… I did the same thing as Alex Beaulieu Marchand (slope style skier) and started to knit. I’m still learning but I already made two scarves and two hats! What do you eat on a competition day? I try to eat my meal two hours before stepping on the ice. It is usually a light but effective meal like a wrap or a chicken salad. Then, during the competition, I eat an energy bar, dried fruits, fresh fruits and I drink an energy juice. Training hard brings good results and good results lead me to want to give everything I have in practice. I don’t know any speed skater who feels he’s at his maximum, we can always do better. After retirement, I guess we can analyse when was our best performances, but in the heat of the action, we’re convinced that we can give more every day. What is the most challenging period before Sochi and how many hours a day are dedicated to training? We train an average of five to six hours per day. We’ve just completed the most demanding phase of our preparation. So since the beginning of December we worked extremely hard. Do you have a ritual before going on the ice? A thought, a prayer, music? I try to stay calm and focused. I’m a person who thinks a lot so I have to eliminate some thoughts before my races. Very good question. Many things may change in the next five years, I’ll have to make important decisions. My brothers and I just started a clothing and accessory brand, Hamelin. We have big ambitions with this project, we want to try to support and promote amateur sport in the country. Publié le January 11, 2014 par Delphine Lachapelle classé sous News portant les tags Short Track Sochi francois hamelin Speed skating. Several fans had questions for Charles so we gathered some of them and here are his answers. What pushed you to start short track speed skating? 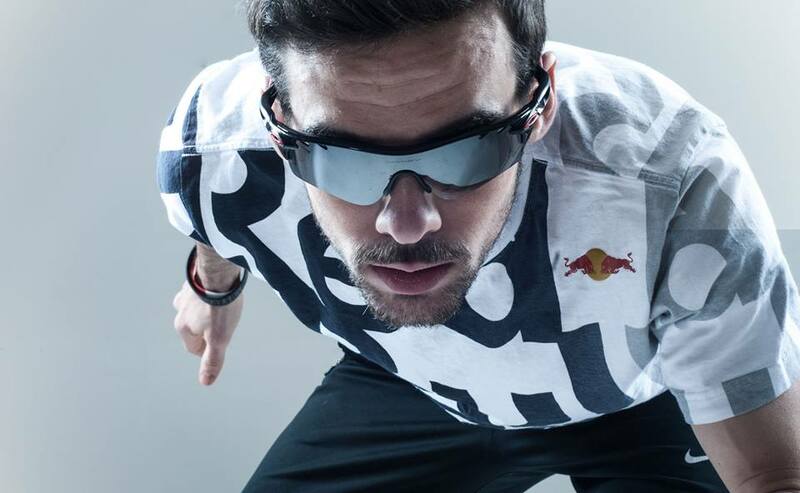 François was the first member of the family to start short track when he was 5. I watched what he was doing on the ice and I tried a few times when I had the occasion. I fell in love with the sport and the year after, I joined the club. Our little brother Mathieu also started at that time and my father became a volunteer. The whole family was involved; my mother was in charge of the lifts and was taking care of all the lunches for trainings and competitions. If you didn’t choose speed skating, which sport would you do? Before being a skater, I was a baseball player. I would therefore probably continued to practice this sport. What do you eat on a competition day and what are your food guilty pleasures? My alimentation stays the same during competition, I eat pretty much what I want as long as it’s healthy. I often eat spaghetti with sauce that my mom made. My guilty pleasure is undoubtedly chips, I just can’t resist! Salt and vinegar is my favorite flavor. What do you find most difficult in the preparation before the games? The hardest thing for me is not seeing my family as much as I would want to. They understand my situation but I always feel bad when I can’t attend a dinner or a birthday party. I’ll do my best to catch up in the future. What advice can you give to young speed skaters who dream of going to the Olympics? Love your sport and have fun, believe in yourself and go as far as you can. It’s not always easy, there’s a lot a disappointments, but when you give your 100% and stand up after hard moments, you have more chances to achieve your dreams. Éric Bédard. He came to the club where I was skating a couple of times, to motivate us and give us advice. Later, Éric became my teammate and mentor, he taught me everything there is to know about World cups. Do you listen to music in competition? If so what’s on your playlist? Publié le January 10, 2014 par Delphine Lachapelle classé sous News portant les tags Charles Hamelin Short Track Olympics Sochi Speed skating. Publié le December 19, 2013 par Maxime Lauzier classé sous News portant les tags Training Day Francois Charles Hamelin. Today is a very special day for François, it's his birthday! Let’s wish him a great day and may the next few months be filled with joy and success. And who knows, maybe he’ll come back from Russia with a very special object around his neck? Visit his Facebook page here: François Hamelin to wish him a happy birthday. Publié le December 18, 2013 par Maxime Lauzier classé sous News portant les tags Birthday Francois Hamelin. 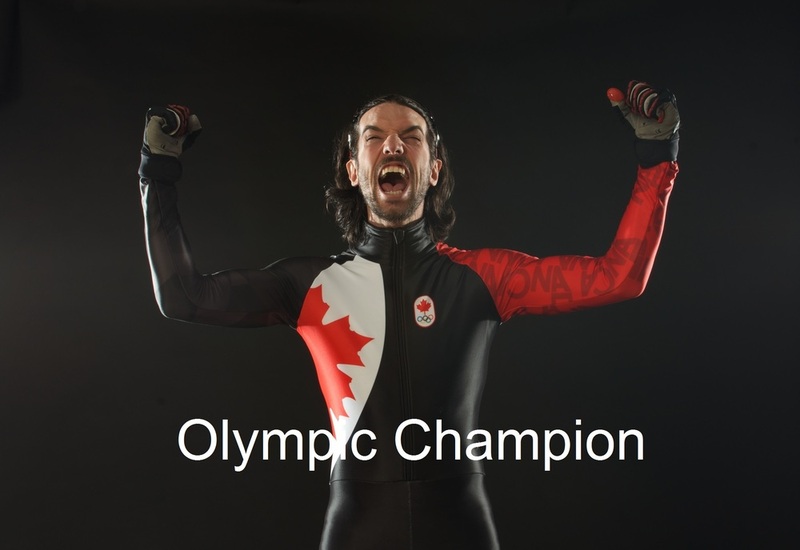 Air Canada issued a press release this morning (below), announcing that Charles Hamelin was voted Air Canada Athlete of the year. Congratulations Charles! Publié le December 13, 2013 par Maxime Lauzier classé sous News portant les tags Award Charles Hamelin.